Should they or shouldn’t they? Should our national parks be more or less accessible? The question sounds stupid and since I’m IN a national park currently it sounds a lot like I need to check my privilege. After all, who would even suggest we limit access? What a crazy idea. Those parks belong to EVERYONE and if we could get every American out to see them, we might have fewer issues with people taking this country for granted. 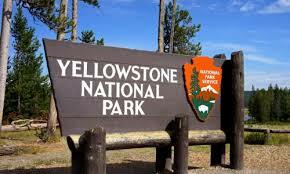 Yellowstone is not only the oldest national park in the United States, it is the oldest national park in the world, established by President Teddy Roosevelt in 1872. It’s 2.2 million acres in northwestern Wyoming, with just a slice out of Montana and Eastern Idaho. But we’ve also seen a lot of this. At Old Faithful there was a lot of this. Even the restrooms constantly had lines. 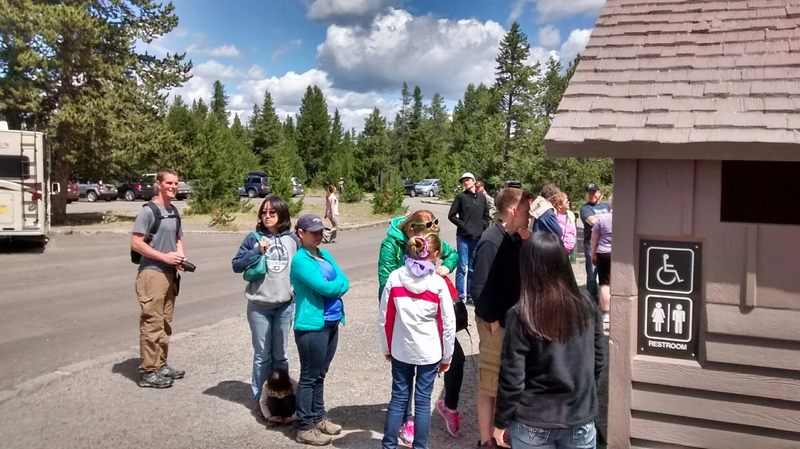 Last year 4.1 million American and international tourists visited Yellowstone. That was a record year, up 14% from the previous year which had also been a record year. This year, the centennial year for the foundation of the National Parks Service, there will be even more. And therein lies the paradox. As we advertise the parks and provide greater access, we end up with worse experiences for people in the park. This year, all fourth graders get into the national parks for free. They can even bring their families! I went to Disneyland once when I was a kid. The first day I stood in line after line for all the cool rides. The second day I road the streetcar and talked to the driver the entire day. The lines weren’t worth the experience for me. 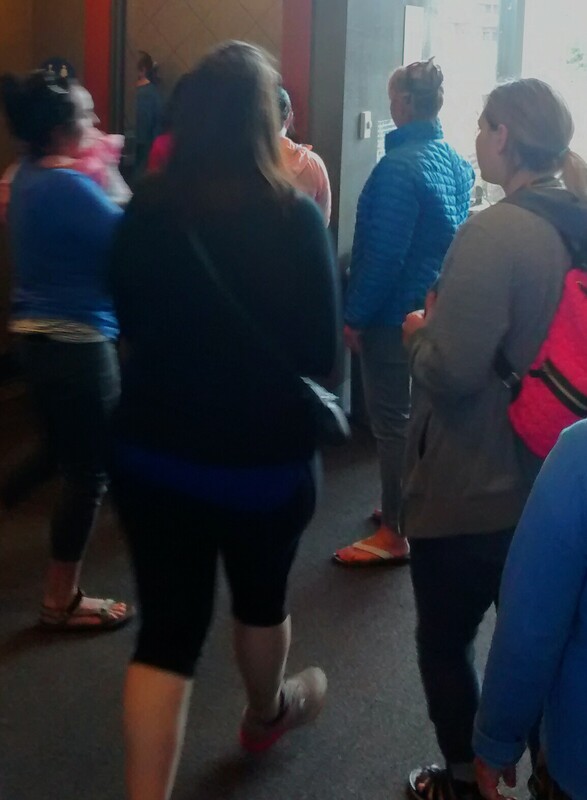 The lines at Yellowstone are not Disneyland long. Most of the time slowdowns on the road are to look at wild animals along the side. Being delayed by a buffalo, or a bison is a unique experience. But, it’s still a delay. At times we pulled off to less popular sites simply so we could use a restroom without a line or eat our picnic lunch without the crush of humanity intruding. The national parks are a treasure. But, that treasure has a price.